Established over 25 years ago, HardSoft are specialists in the leasing of both PC and Mac. Even better, much of the equipment we have on lease is chosen with the creative business in mind. We appreciate that the kit the creative amongst you need is highly expensive to purchase outright, but without it you can’t get the work done properly or on time! With this in mind, let us introduce a new laptop to you that has been designed for the serious creative/CAD user: the MSI WS60 – described as being perfect for mobile designers and CAD CAM engineers! MSI or Micro-Star International was set-up in 1986 and has focused on innovation ever since. Competing against the HP Z Book (which some reviews say is struggling to keep up with the competition because of its price) and the Lenovo W Series (which does the job but is bulky in appearance), we believe this laptop lives up to MSI’s aims and deserves some recognition. Users tend to stick with the HP or the Lenovo because they feel safe with these products – they are well known and get the job done. 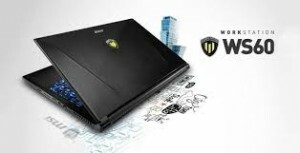 … and they are certainly value for money and represent a circa 40% saving over the equivalent HP Z Book or Lenovo WS540. What are the WS60’s best features? 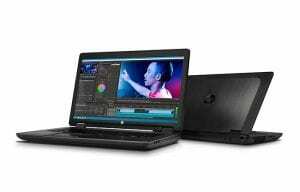 Could the HP Z Book and Lenovo W Series be overtaken by the MSI WS60? and 3D video output this machine is 4 times faster than USB 3.0. To put this into perspective, 10 HD videos can be transferred within 3 minutes. Advanced speed massively helps to reduce the daily workload of a creative professional. Optimal performance means it also works with professional 3D programmes such as SolidWorks. SIZE Coming with a 15” screen and made with MG-Li alloy parts, the WS60 weighs less than 4.36lbs and is less than 0.8 inches thick. The HP ZBook 15 is over 6lbs. Essentially, you get an awesome creation workstation that really is unstoppable because it’s light enough to be carried around! There is no optical drive though. STYLE Inspired by gaming notebooks, the design is far from boxy or bulky but is sleek and stylish instead. ADDITIONAL FEATURES All that speed generates a lot of heat, but there’s no need to worry because the WS360 comes with dual fan technology for maximum heat dissipation. It is also equipped with a SteelSeries full-colour backlight keyboard. Even better, the keyboard has a “Shortcut Manager”, allowing you to programme and combine multiple keys into a single command key, once again helping to improve efficiency and speed. Finally, the MSI Matrix display connects to 2 external monitors, transforming your notebook into the ultimate multi-tasking station and has Thunderbolt 2 – normally only seen on high end Macs ! High end mobile Workstations (mainly due to the Nvidia Graphics GPU) are not cheap with the aberage cost coming up to £2000 depending on spec. The MSI comes in at the lower end of the price scale with the spec at the highere end. Still not cheap and leasing a laptop like this makes sense. The MSI WS60 with 128GB SSD & 1TB hdd and with the higher spec K2100M Nvidia graphics will come in at £14.90 plus VAT per week on a flexible business lease . Its direct competitor is the heavier HP ZBook 15 which with the same graphics but lesser hard drive spec comes in at a higher price of £21.30 per week plus VAT. MSI don’t make desktops Workstations yet but they have plans for many many more mobile laptop workstations. .. and though a smaller name in the UK marketplace that is an advantage as they are directly contactable.